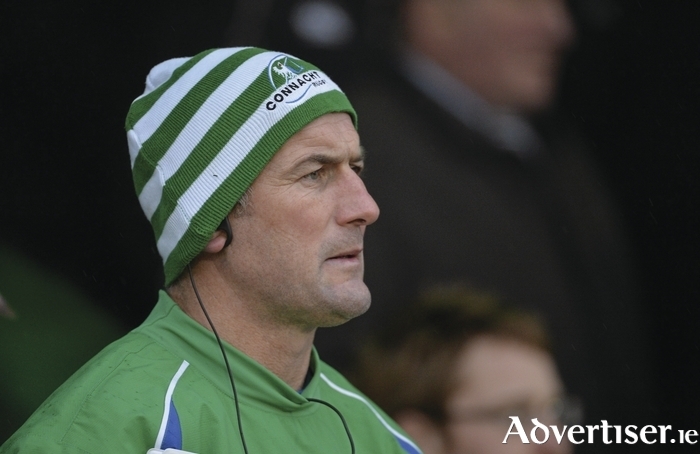 Connacht's Eric Elwood and former player Conor McPhillips will have new roles in Pat Lam's coaching team next season. Elwood will take over as kicking coach on an advisory basis, along side his current role as domestic games manager, while McPhillips, who was brought into the coaching team last season as an assistant attack coach to Pat Lam, has been appointed as Connacht's new backs coach following the departure of Kiwi Andre Bell to his homeland. The highly-regarded Bell, along with skills coach Dave Ellis who remains part of the coaching set-up, was a key figure in Connacht's expansive game plan, while improving the percentages of the province's kickers. He will be a hard act to follow, but McPhillips, who was introduced into the coaching ticket last season, has been a key member of Connacht since heading Connacht's performance analysis. That role will be be taken over by Simon Kavanagh, formerly of Avenir Sports. Pat Lam said Bell had spent "many hours" working with Connacht's young back line and "gave them the confidence and skills to execute our game plan effectively". "We have no doubt he will add value to whatever group of players he works with in the future," Lam said. "I'm delighted Conor has agreed to step into a fulltime coaching role after doubling up as the head performance analyst and assistant attack coach for last season. Conor is hugely passionate about Connacht and has given many years of service - first as a player, then an analyst and now a coach. He has an impressive rugby brain with an eye for the fine detail that makes a big difference." Elwood, he said, would be an invaluable resource for the team. "There is no one at all who comes close to having the knowledge and expertise of the intricacies of kicking at the Sportsground. All our players will benefit massively from his vast experience." Earlier this week Lam re-signed four players, JP Cooney, Shane O'Leary, Danny Qualter and Rory Moloney, who, he said, epitomised the calibre of young Irish talent coming through the system. Cooney, O'Leary, and Qualter have re-signed with Connacht for next season, while Laois man Rory Maloney is handed his first senior contract following promotion from the Nigel Carolan's Academy. Lam says it is vital Connacht retain young talent. "I have always said retention is a very important part of what we do. It is vital we hold on to young players like these who have demonstrated they have the talent and the desire to succeed in a professional set up. "Next season we will be defending a PRO12 title and competition in the top tier of Europe for the first time in three years, so squad depth and competition for places will be crucial." Former Ireland u-20's backrow forward Moloney has yet to be capped for the senior side, but was called up to train with the senior squad at the end of the 2015/16 season. The former Cistercian College Roscrea student has already gained a wealth of experience with the Connacht Eagles, while he also captained the Ireland U19s and played in the U20 Six Nations and World Championships for two seasons. Maloney is expected to add extra depth to the attritional back row, joining fellow Ireland u-20 and Galwegian Sean O'Brien who was handed a senior contract earlier in the season. All three senior players, Cooney, Qualter and O'Leary, featured in a number of games this season. Prop Cooney (26 ) made eight appearances this season having recovered from a shoulder injury, while O'Leary came to prominence during the outhalf injury crisis, growing in confidence and stature to take his place on the bench in the Pro 12 final. Lock Danny Qualter (24 ) played six games this season with his first start away to Newcastle Falcons in the Challenge Cup. The 24-year-old, who represented Ireland at U18, Youth Schools, U19, and U20s, must now make the big step up next season, particularly important in the absence of the departed Aly Muldowney.